Lago Park Hotel usually offers half board. However, in June and September the hotel offers the possibility of full board . From about mid-June to mid September the outdoor restaurant is open from 12 to 20,30. Lunch is served on the terrace overlooking the lake or in the adjacent inner room. Breakfast is one of the most colorful moments of the day. 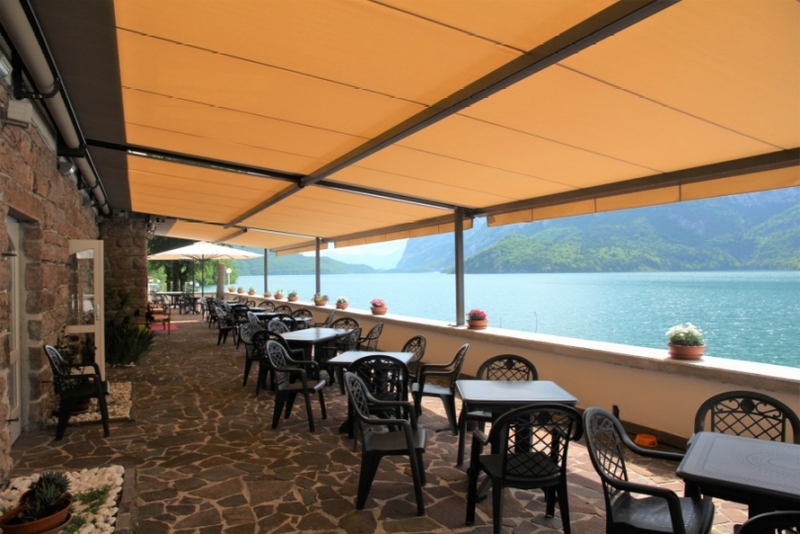 It is served either on the terrace facing the lake and the Dolomites , or inside . Guests can enjoy a rich, sweet and salty buffet of local products: yoghurt from Sterzing and / or Trento , jams and marmalades from South Tyrol , butter , fresh and mature cheeses , typical cold cuts such as pancetta, speck and ham, white bread and wholemeal toast , croissants , plumcakes , homemade desserts , corn flakes , puffed rice , cereals , boiled eggs , fresh fruit , dried fruit and plums in syrup . Hot drinks and fruit juices complete the menu . Dinner is served in the airy dining room on the first floor . A generous buffet of raw and cooked vegetables , cheeses, meats , and a variety of nibbles. serves as an introduction to the actual menu. The menu includes a choice of five starters , six main dishes and a large number of homemade desserts . This page lists some examples of menus on offer at our hotel. The menus vary continually, however, at least one local dish and one fish dish are served everyday. The following photos illustrate where breakfast is served.